Slice and lightly toast bread. For the health conscious, use whole-wheat bun or multi-grain bread. 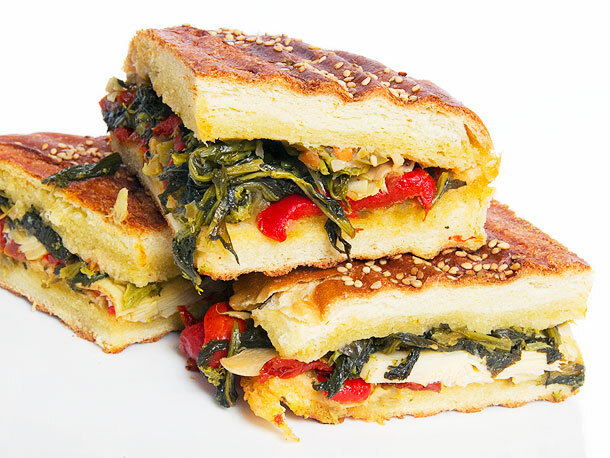 Layer provolone or favorite cheeses, a generous amount of fresh spinach or a mixture of spring greens and spinach; top with Boscoli Family Italian Olive Salad and or sun dried tomatoes.